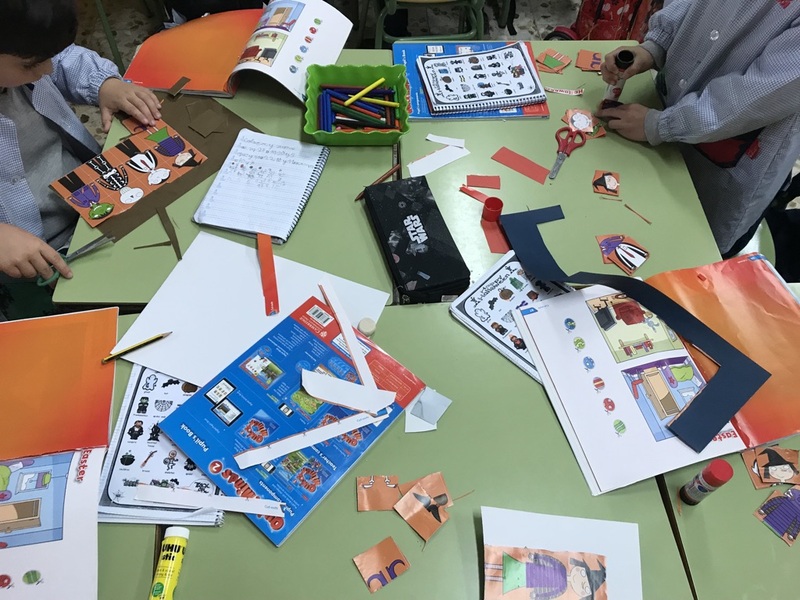 5 years old children and from 6th grade, worked together to discover the different parts of a house by playing games and singing songs. 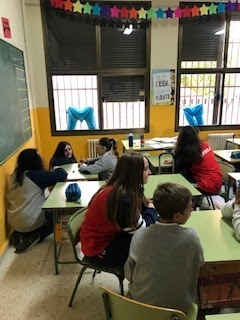 Parents who came to visit us saw them learning. 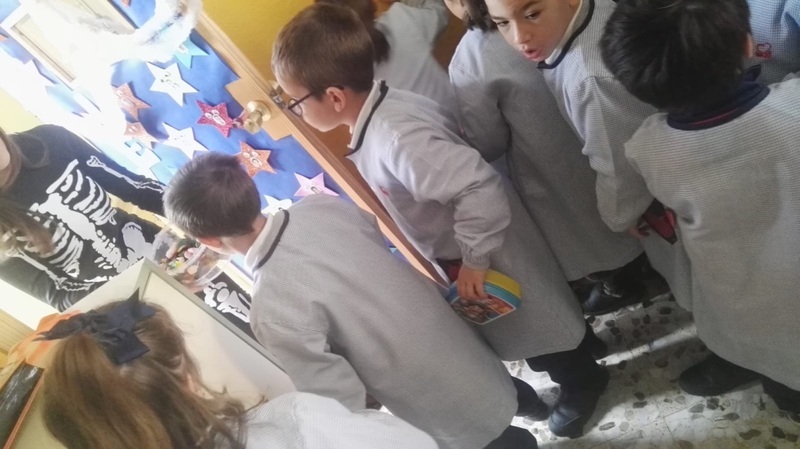 Los niños de 5 años junto con los de 6º de Primaria trabajaron juntos en puertas abiertas, las distintas partes de la casa con juegos y canciones que pudieron ver los papás que vinieron a visitarnos. Today, students of Pre-Primary three year old, have reviewed the vocabulary learned from unit 2 about the toys, such as "ball", "doll", "car", "train", "teddy", "bike" and concepts like "fast" and "slow". They have had to be very attentive to listen to the cd to stick the correct stickers.They really liked working together! 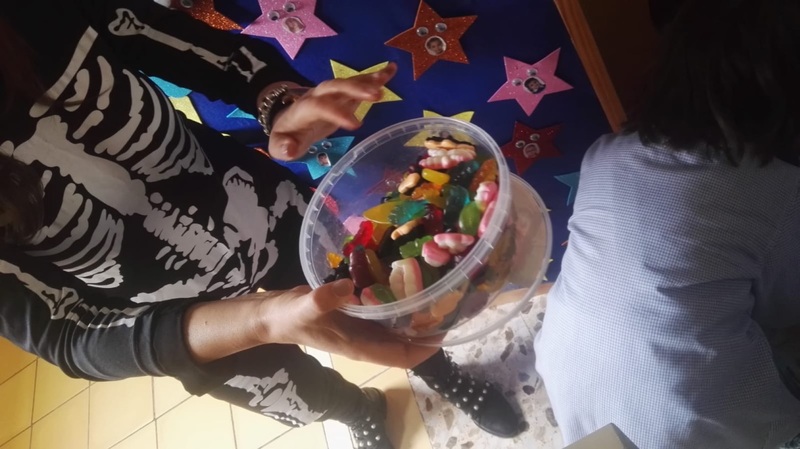 It's a pity that I can't share with you the video that I recorded during the activity but it takes a lot of space and the blog doesn't allow it. 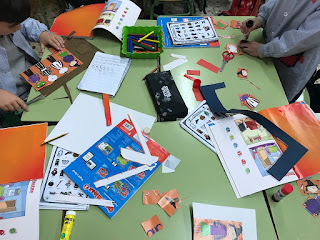 Hoy, los alumnos/as de 3 años de Infantil, han repasado el vocabulario aprendido en la unidad sobre los juguetes, tales como "pelota", "muñeca", "coche", "tren", "osito de peluche", "bici" y conceptos como "rápido" y "lento". Ellos/as han tenido que estar muy atentos para escuchar el cd y pegar las pegatinas correctas. 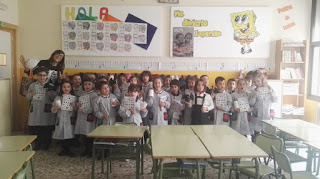 ¡Les ha gustado mucho trabajar todos juntos! 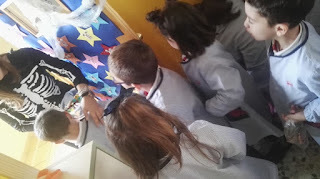 Es una pena que no pueda compartir con vosotros el vídeo que he grabado durante la actividad pero ocupa mucho espacio y el blog no me lo permite. 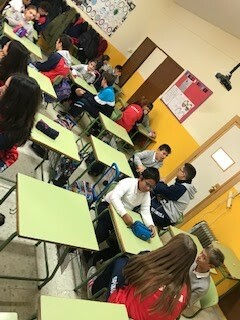 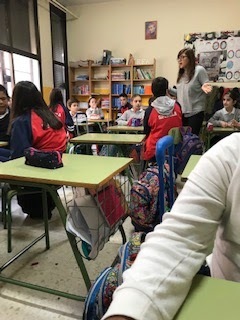 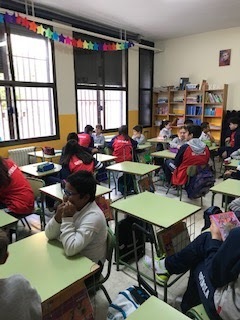 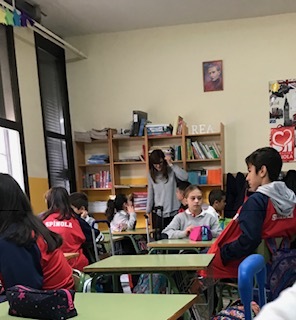 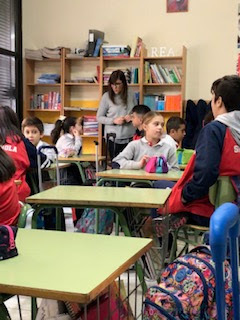 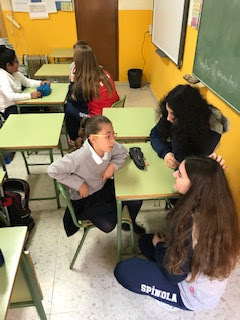 El pasado 12 de noviembre tuvo lugar la primera sesión de learning together entre alumnos de 4º de primaria y 3º de ESO, dicha sesión fue de introducción para que conociesen a sus padrinos y madrinas y se hiciesen algunas preguntas, del tipo: ¿cómo te llamas?, ¿puedes deletrear tu nombre?¿cuantos años tienes? 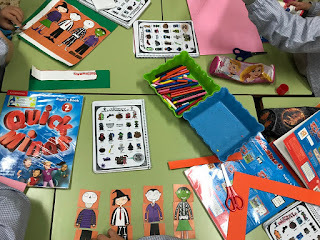 ¿cual es tu color favorito? ¿cual es tu animal favorito?... 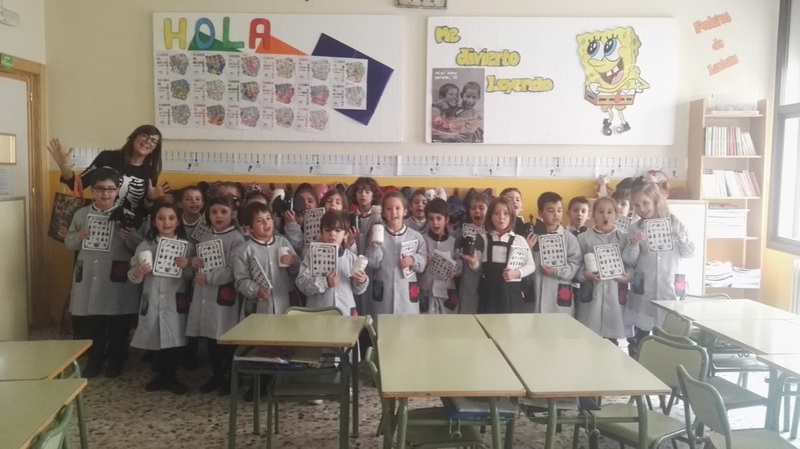 les encantó conocer a sus nuevos padrinos y madrinas, en un par de semanas nos reuniremos de nuevo para seguir trabajando la destreza oral. 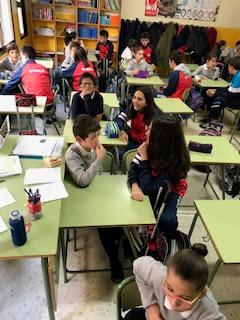 Last 12th November, we had the first session of learning together between 4th graders and 3rd grade students of ESO. 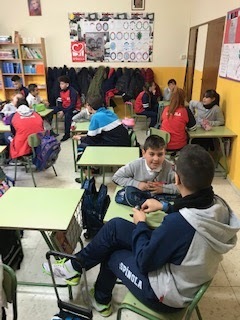 It was an introduction to meet their godfathers and godmothers, and they asked each other some questions like: what's your name?, can you spell your name?, how old are you?, which is your favourite colour?, which is your favourite animal?, the really liked meeting their new godfathers and godmothers, we will meet up again in a couple of weeks to keep working on speaking practice. 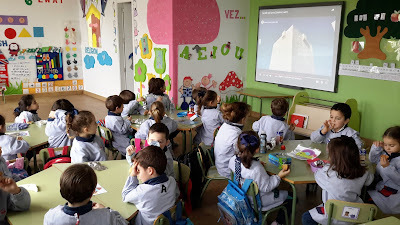 Last week, students of Pre-Primary three year old, reviewed the vocabulary learned from unit 1 about the school, such as "teacher", "book", "crayon", "pencil, "chair", "table" and emotions like "happy" and "sad". They have had to be very attentive to listen to the teacher to stick the correct stickers. 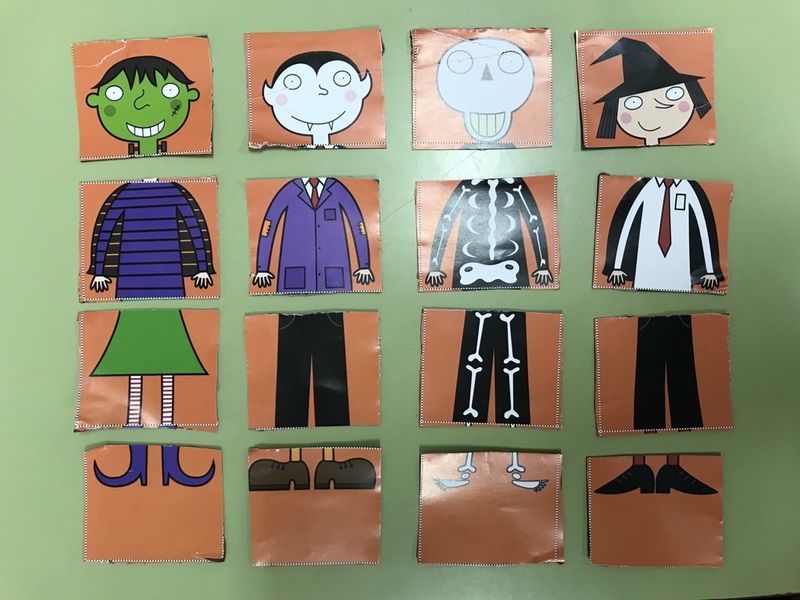 To finish, we played to the "game of emotions" with Greenman. 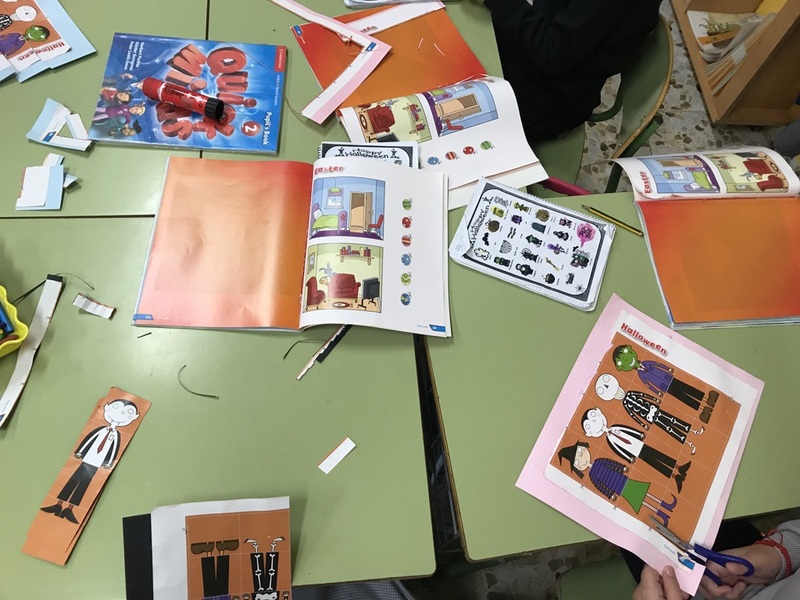 La pasada semana, los alumnos/as de 3 años de Infantil, repasaron el vocabulario aprendido en la unidad 1 sobre el colegio, tales como "maestra/o", "libro", "lápiz de color", "lápiz", "silla", "mesa" y emociones como "feliz" y "triste". 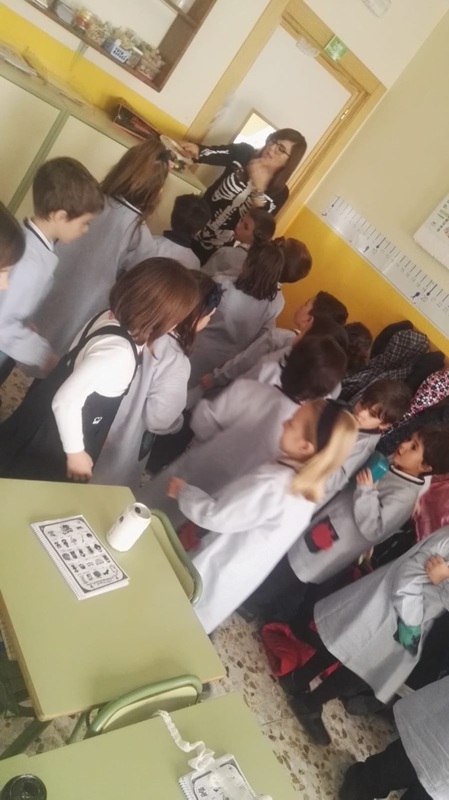 Ellos/as han tenido que estar muy atentos para escuchar a la seño y pegar las pegatinas correctas. 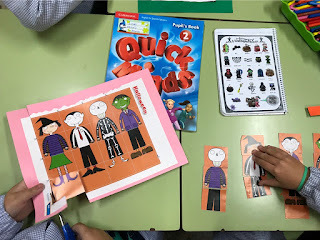 Para finalizar,jugamos al "juego de las emociones" con Greenman. 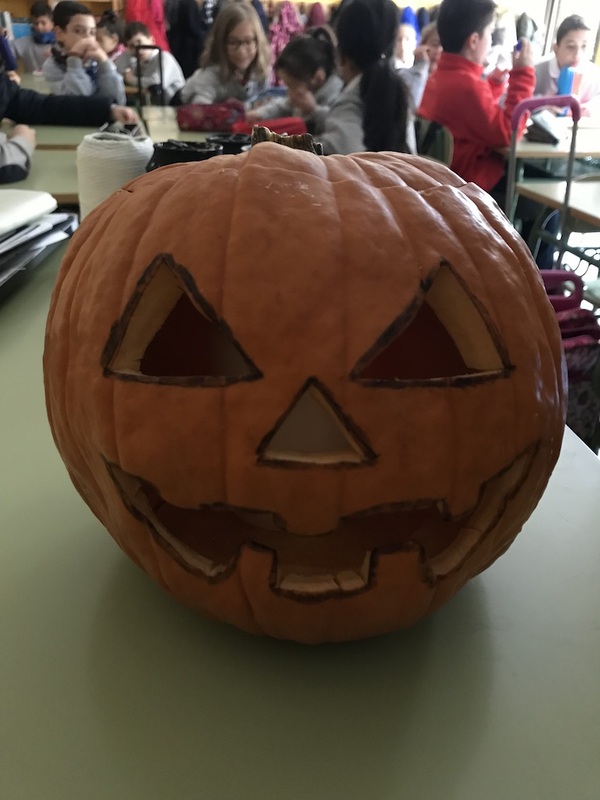 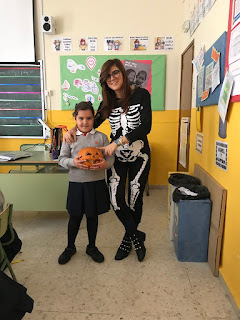 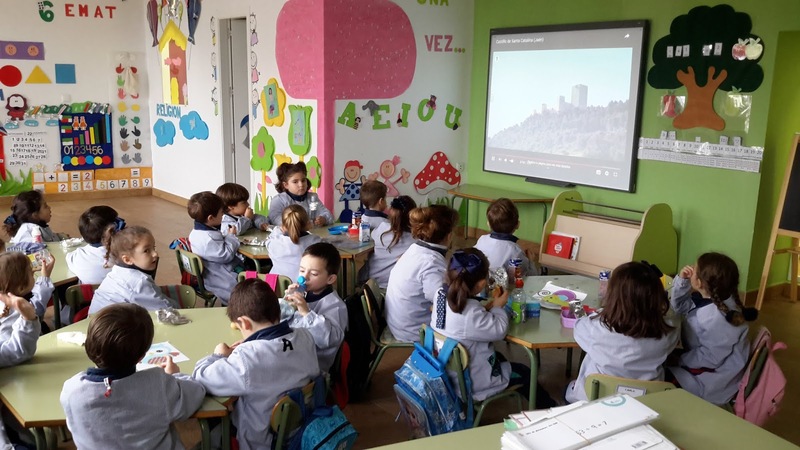 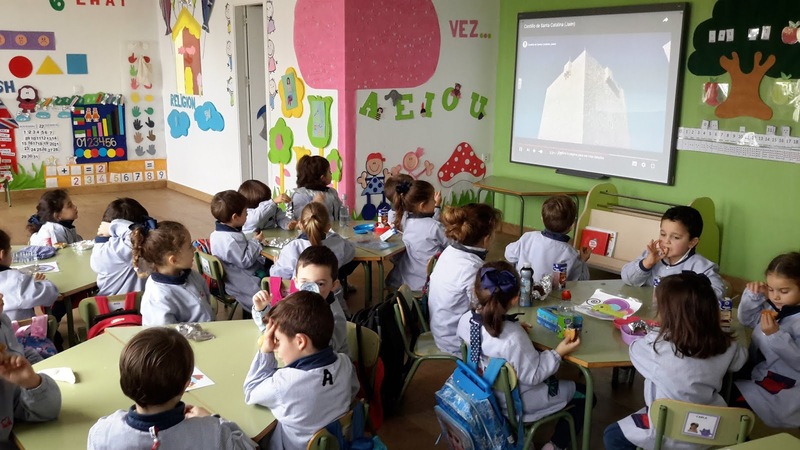 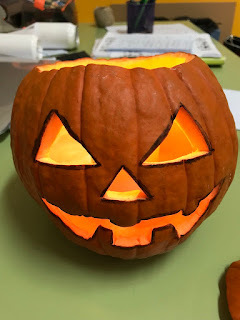 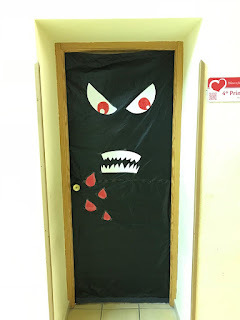 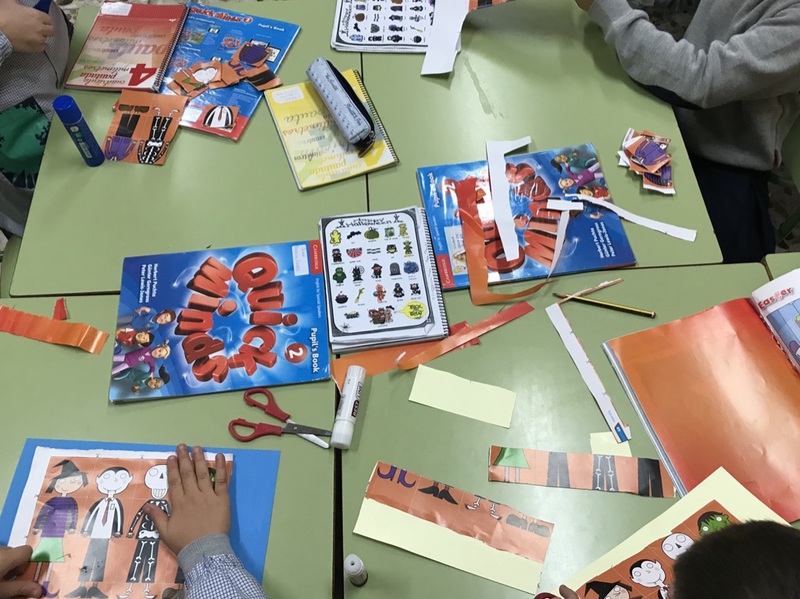 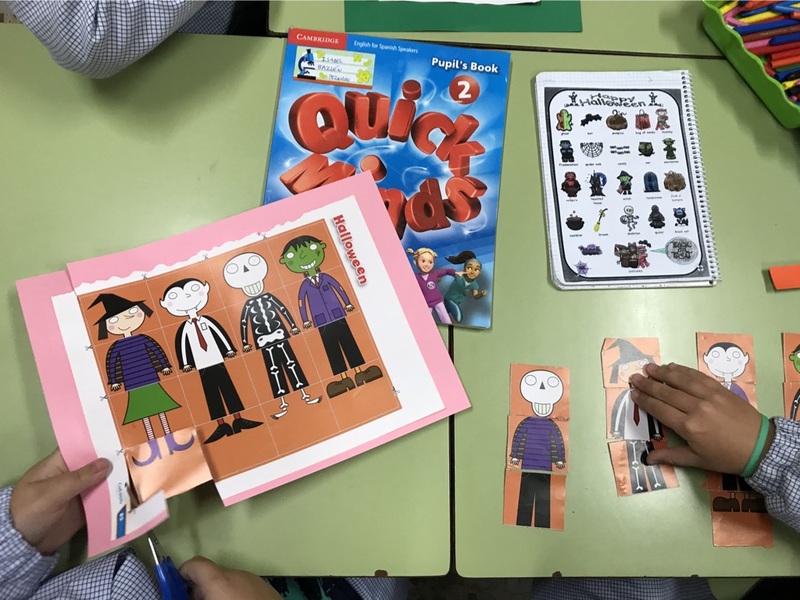 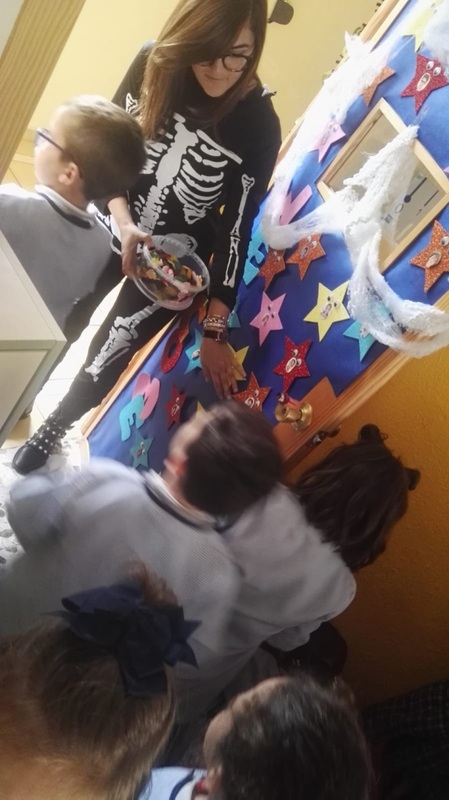 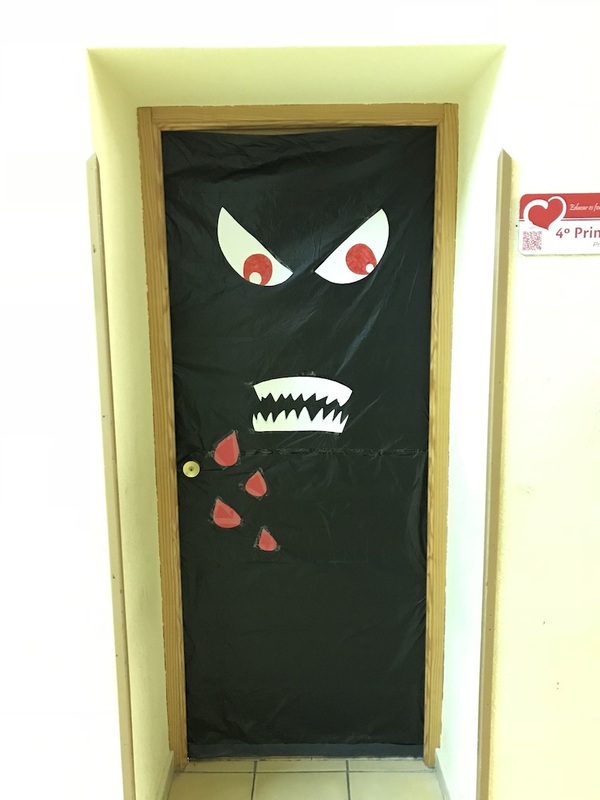 Here you have some pictures which show how we celebrated Halloween first, second, third and fourth graders at school, they learnt new vocabulary and they made some crafts, furthermore they ate yummy sweets. 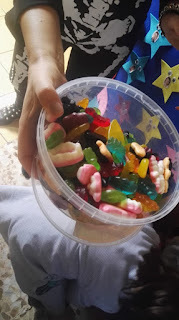 We had a really nice time!!!! 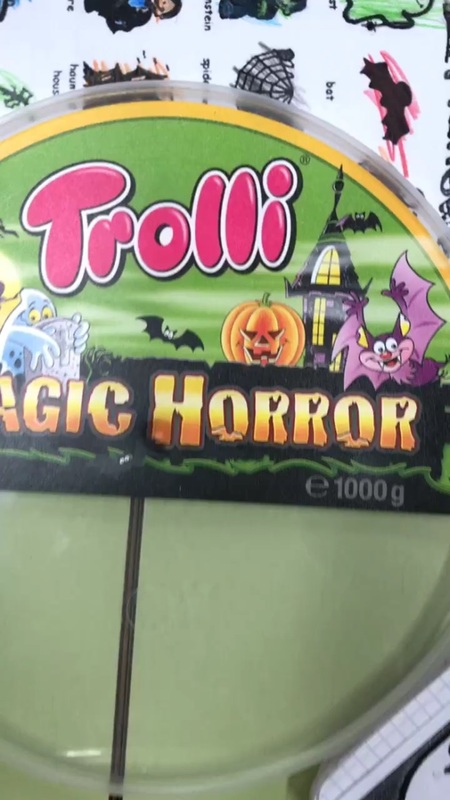 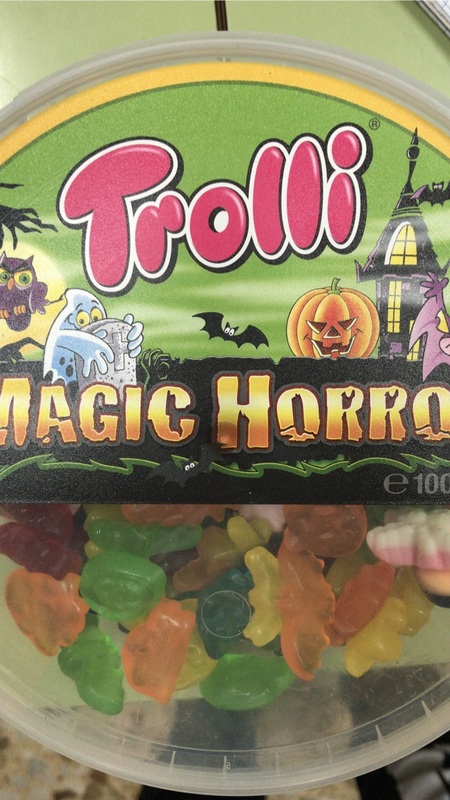 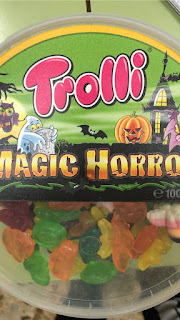 Aquí tenéis algunas fotos que muestran cómo celebramos Halloween en el colegio estudiantes de primero, segundo, tercero y cuarto de primaria, aprendieron nuevo vocabulario e hicieron algunas manualidades, además de comer deliciosas chuches. 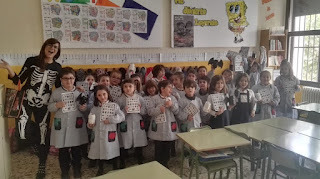 On November 25 we celebrated the day of St. Catherine in Jaén. 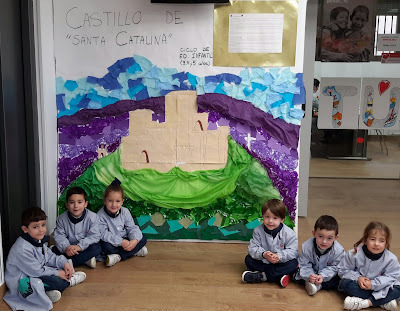 The castle that crowns our city bears this name. 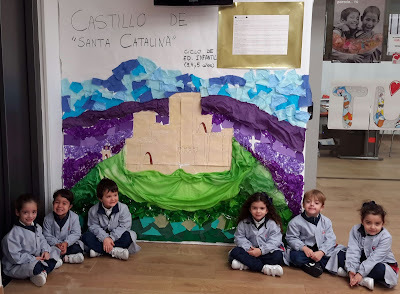 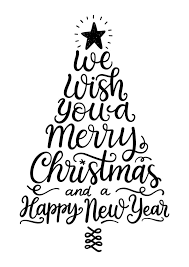 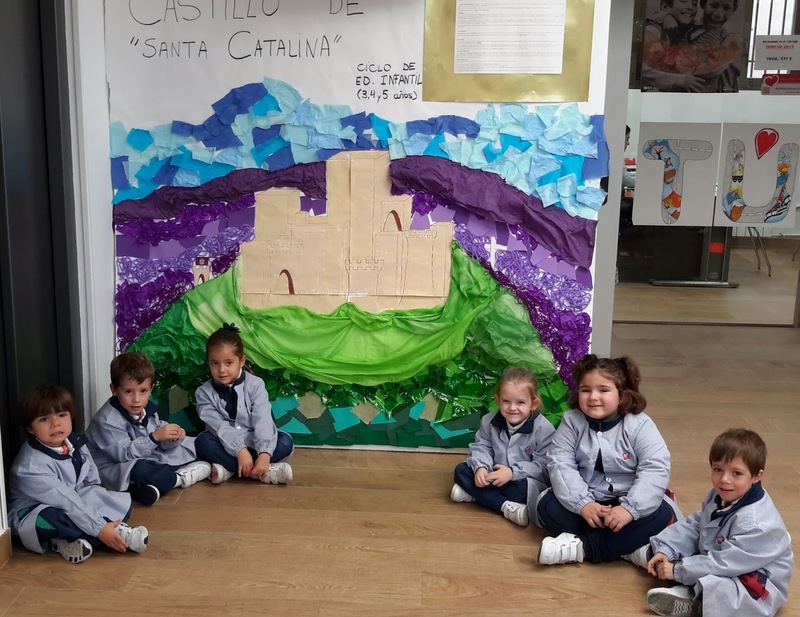 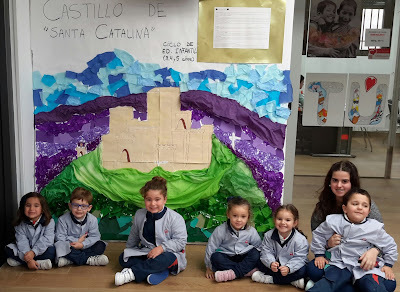 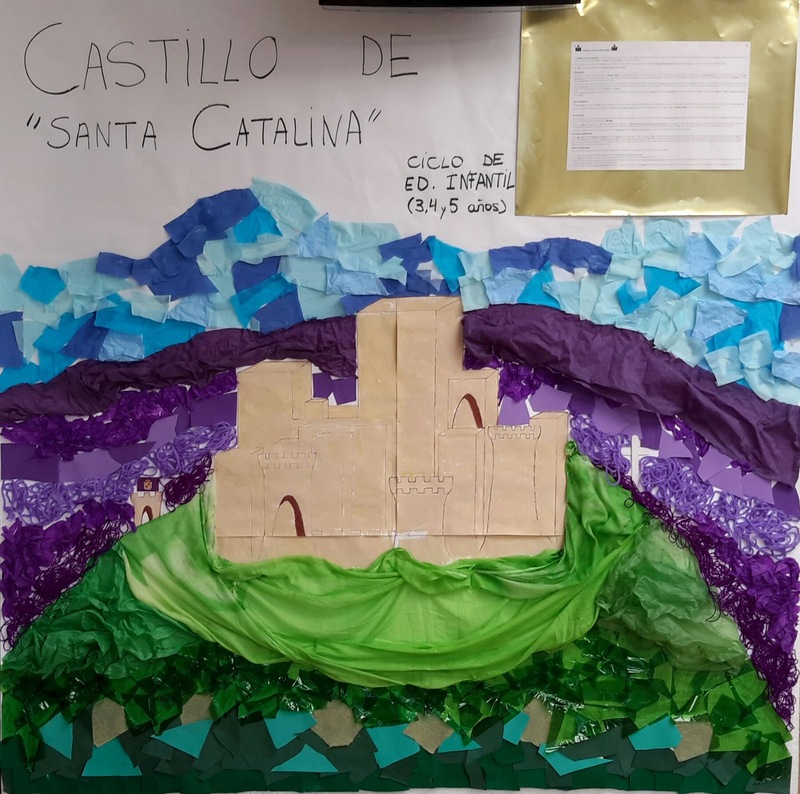 Children of children have wanted this year to stay with a very special memory of our castle and, for this, we have worked on the painting of the castle itself and, later, in the realization of a "Collage" with a variety of materials: fabrics, paper, wool, wood ... This particular work of art has been accompanied, in turn, with a little general history of the great architectural work of the castle and the various towns that inhabited it. 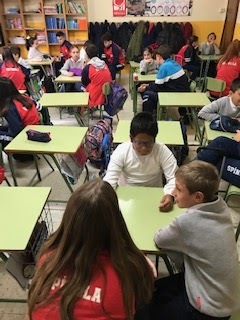 A week of enjoyment and learning ... at all levels! 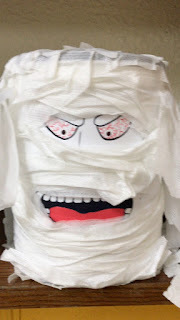 Happy Saint Catherine's Day.